What's the Difference Between Self-Love and Self-Obsession? What Do the Self-Love Experts Say? At a very young age, our understanding of what’s good for us, what we think we need and feelings on how we are being treated is sharp and clear. Our sense of personal fairness is evident by the amount of temper tantrums we throw and the amount of times we report to a person of authority how mean someone is being to us. This is a form of self-love and protection. As time progresses, our self-love is buried and trapped inside of us due to a misapplication of rules and social norms. Yes we must learn how to share and consider the feelings of others. However, depending on the makeup of our personalities, we can begin to obsess over the feelings of others, and neglect our own. This is a major mistake! We aren’t here to serve the dominant personality and give our lives to the pampering and maintenance of others. We are our own living, breathing beings separate from and unlike anyone else on this planet. Knowing this alone should make you want to show yourself off and gift them with who you really are; your authentic, unique personality. But first YOU must know who you are. Based on this general, widely accepted definition of love, have you ever felt this way about someone you DIDN’T know………? You’d probably say that you have to take the time to get to know the person before you can say you loved them right? The same exercise applies to Love of Self. You can’t love yourself if you don’t know yourself. So many expectations have been set before us that our inner self becomes buried in habitual ‘Yes’s and ‘What if they don’t like me for saying no’s. Meanwhile, your real self is screaming “What about what I want for myself? !” Your true feelings are there but you keep ignoring them for shallow reasonings and instant gratifications. These do not justify the neglect of your true feelings. Self-love is largely connected to how you treat yourself and how you allow others to treat you. It is the gentle handling of your spirit, the person you are behind the disguise you use to make others accept you. It means loving the person you are when you’re alone, before you consider anyone else’s opinion. It is the protection you place on your values and happiness. Self-love is the tool used to promote real well-being and contentment with your life choices. When you love yourself, you consult your own feelings about every situation in life. This means listening your inner voice and HONORING it. Not waving it away as if it were some nagging fly. Not tossing it to the side as if it were an unreasonable, baseless idea. But actually having a conversation with yourself to see how you feel about every issue. Yes, a private conversation between you and your inner voice. Click the image to get your guide now. You matter to you. Stop ignoring yourself. Keep enriching your life with knowledge and only associate closely with those who value and appreciate who you really are inside. So I leave you with this question: Do you hear yourself talking to you?! Or are you just going to keep ignoring you? Download the guide above by clicking HERE and strengthen your self-love by getting to know your inner voice. Up Next: What's the Difference Between Self-Love and Self-Obsession? I would love for you to continue reading my 5-part series “The Foundations of Self-Love”. 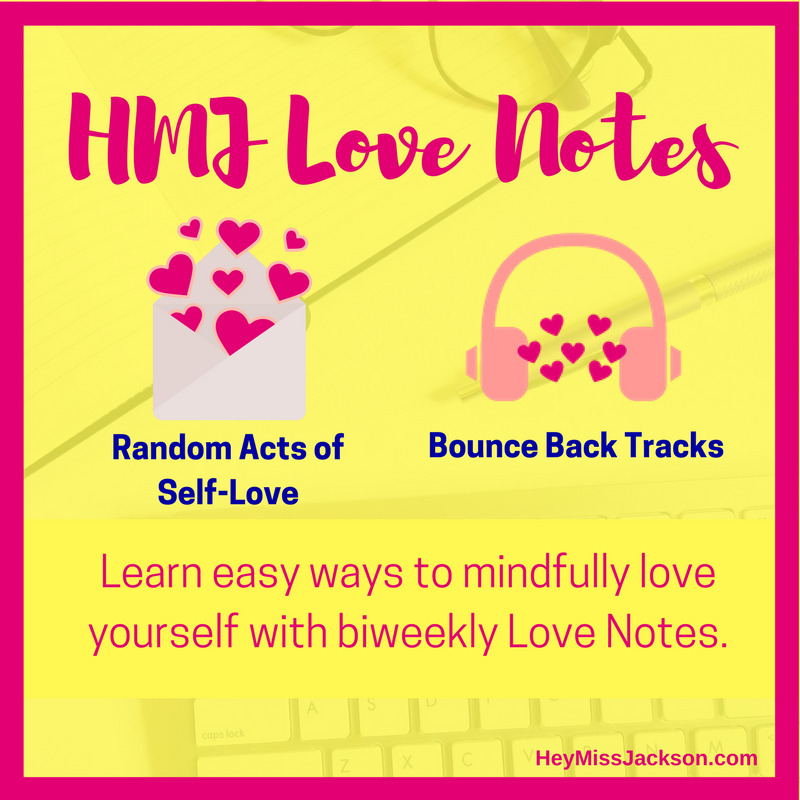 Click I WANT MORE below and get an email about the next post in this series + easy biweekly self-love tips in your HMJ Love Notes.